The baby’s ability to digest food is still developing and not perfect. This condition makes the baby very susceptible to various digestive problems. In fact, food intake is very important for the growth of your child. For that, you need to know what are the digestive disorders in babies that often occur and how to overcome them. Although it often happens, digestive disorders in babies are very difficult to know. Babies who have not been able to speak or have difficulty speaking, certainly cannot tell what symptoms they feel well. They can only cry and look weak. If this condition occurs, do not delay going to the doctor so that the symptoms do not get worse and the disease is more easily treated. The baby’s intestine is more sensitive and weak than adults. Sometimes, not all food that enters the stomach can be digested by the baby’s intestine, which interferes with intestinal movements and causes diarrhea. In addition to disruption of bowel movements, rotavirus that enters the baby’s body can also cause diarrhea. Babies who experience this condition usually show symptoms, such as frequent urination, stools more watery, fussy babies, and look weak. More severe symptoms are usually characterized by the appearance of a rash, fever, crying when you defecate, bleeding and the appearance of mucus in the stool and dry mouth. Without proper treatment, the baby can become dehydrated. For first aid diarrhea in infants, give a solution of salt sugar (ORS). Then, to make sure the condition is doing an examination with a pediatrician. Do not give medicine without doctor’s supervision, it is feared that it will worsen the baby’s condition. The most important thing is to increase fluid intake, choose softer foods, and maintain the cleanliness of the baby’s body. The baby’s digestive system is still not perfect so it works more slowly. As a result, stomach acid can rise to the throat. This condition causes the baby to spit out most of his food or choke while breastfeeding. Besides vomiting, you can feel the sound in the baby’s stomach. RELATED POST Changes Color of Breast Milk: Which Are Still Normal? 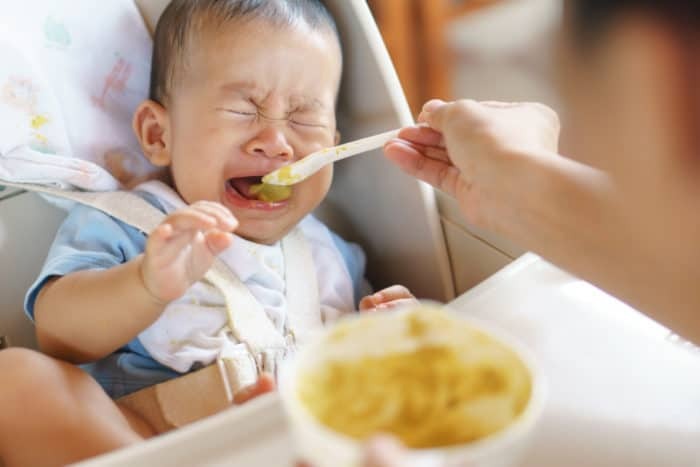 You can alleviate this condition by making sure the diaper is not too tight, feeding the baby with smaller portions but often, and straightening the baby’s body for 30 minutes after breastfeeding. In addition to stomach acid, babies who eat too much or drink breast milk can also vomit. If the baby continues to vomit with changes in vomiting, frequent choking, or refusing to eat or suckle, immediately see a doctor. In addition to diarrhea, constipation is also included in a row of digestive disorders in babies that often occur. Usually this condition occurs when the baby starts eating solid food. 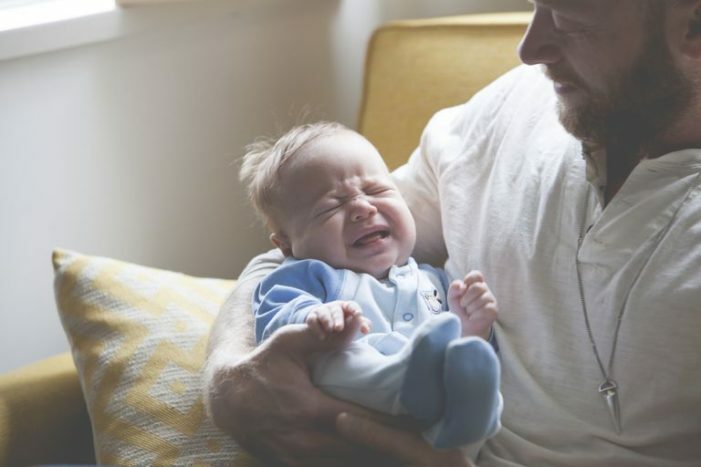 Babies who experience constipation will show symptoms, such as pain when passing water, there is blood in baby’s feces, fussing, and of course the baby is rarely defecated because it is difficult to remove. Changes to the baby food menu can help soften feces, for example, increase the menu of vegetables, water, and fruit. Maybe you need doctor’s help to choose a laxative that is suitable for babies. Babies born prematurely, have a low weight, or have congenital defects in their intestines usually experience food intolerance. That is, there is a food content that is considered by the body as a threat, causing a reaction of vomiting or diarrhea after eating these foods. For this condition, parents must really pay attention to whatever the little one eats. You may need further consultation and treatment with your pediatrician to control symptoms. Previous articleChanges Color of Breast Milk: Which Are Still Normal? Next articleWhy Red Rice Porridge Better for Babies than White Rice?